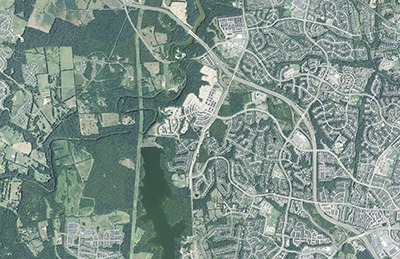 Home Goose Creek AssociationLoudoun County could see 18,000 new homes in transition area under revised plan. Loudoun County could see 18,000 new homes in transition area under revised plan. Members of Loudoun County’s Comprehensive Plan Stakeholders Committee do not support the current version of the county’s Transition Policy Area (TPA), which limits development in the area of the county that serves as a buffer between development in the eastern part of the county and the more rural western areas of Loudoun. County staff briefed the committee on future development projections in the TPA as stakeholders made their positions more clear this week. Earlier this month, county staff presented the stakeholder team with two “scenarios” — keeping the county’s current Transition Policy Area land-use plan in the proposed new Comprehensive Plan, which includes limits on retail and single-family homes. The current plan allows a maximum of just 11,306 units. The second scenario, supported by committee members, broke away from the current plan and supported a different scenario, which committee members said would expand employment, increase density in some areas and develop more walkable neighborhood centers. A majority of stakeholders argued that developing the area would help Loudoun meet future growth demands, particularly for housing diversity and affordability. Over the last two weeks, staff put together a compilation of feedback they received from stakeholders on their views on residential density, where future development should be concentrated within the TPA, and what types of open space requirements should be adopted. Staff presented a new draft development estimate based on feedback from stakeholders. Under the new staff projections, the TPA area could hold 12,076 residential units in the lower Foley area east of Northstar Boulevard and along the Braddock Road corridor. The committee’s recommendations would increase the total number of single-family homes in the transition area to 18,323 units concentrated in several different areas including upper Foley and upper Broad Run. The committee’s recommendations also projected additional industrial development south of the Greenway in lower Sycolin, in addition to 30.8 million square feet of industrial space and about 1.12 million square feet of retail use. In addition, the committee’s feedback would result in 36.72 million more square feet of industrial space in the TPA area. Both proposals recommended retaining 50 to 70 percent of open space in development projects. Some stakeholders expressed concern over the projections. Gem Bingol, a stakeholder representing the Piedmont Environmental Council, said that more focus was needed to address concerns around housing in the suburban policy area before the committee set their sights on the TPA. Directing her comments at staff, Bingol noted that stakeholders were not considering current density projections in the TPA. “I thought that that all of the information and analysis that you provided for us for the transition policy area is great. I would say that it really makes it clear that we are sort of jumping over my opinion. So much of our discussion has been ‘we need to put affordable housing here and we need to grow there,’ as opposed to understanding how much growth we’re already sort of planning for in the suburban area,” Bingol said. In addition, Bingol said the projections for the area presented by staff appeared to be a “direct contradiction” to what the public envisioned for the TPA. The committee also cast votes Monday night on a number of questions staff compiled based on feedback from stakeholders provided at the group’s previous meeting. When asked if stakeholders would support a “wider range of housing types” in the TPA, including encouraging smaller units to help meet the county’s affordable housing needs, a majority of the stakeholders said they would. Only one member said no. A majority of stakeholders also supported designating the lower Bull Run and upper Foley and upper Broad Run areas as areas to place small units, single family homes and townhomes, with a limit of four units per acre with a minimum of 50 percent of open space in each development. The stakeholders also overwhelmingly said they would support taking an area along Evergreen Mills Road designated as a rural policy area to become part of the TPA and have land in that area designated for small lot, clustered single-family homes with limited retail to provide employment opportunities in the area. The stakeholders committee will meet again Oct 16 to discuss a new draft map for the TPA and suburban policy area.